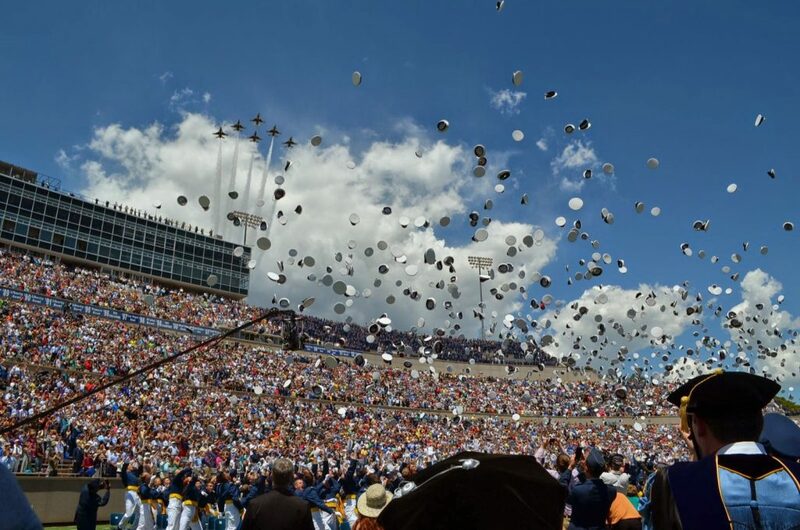 We were especially excited this year because it’s a year that the President speaks to the graduating class. 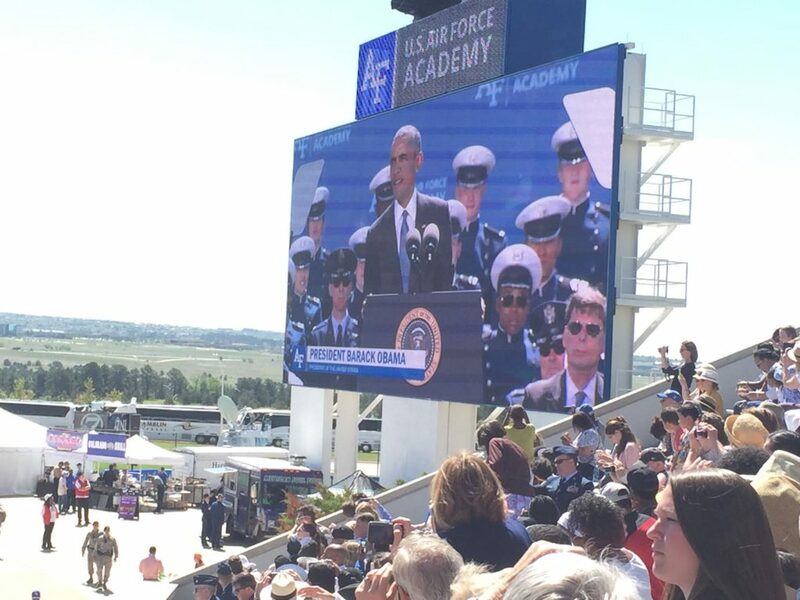 So we were able to hear President Obama give an uplifting, humorous speech to the graduates. Since this is an election year, the whole country was paying attention this speech. The President is walking in from the tunnel right under the “9:54” on the clock. 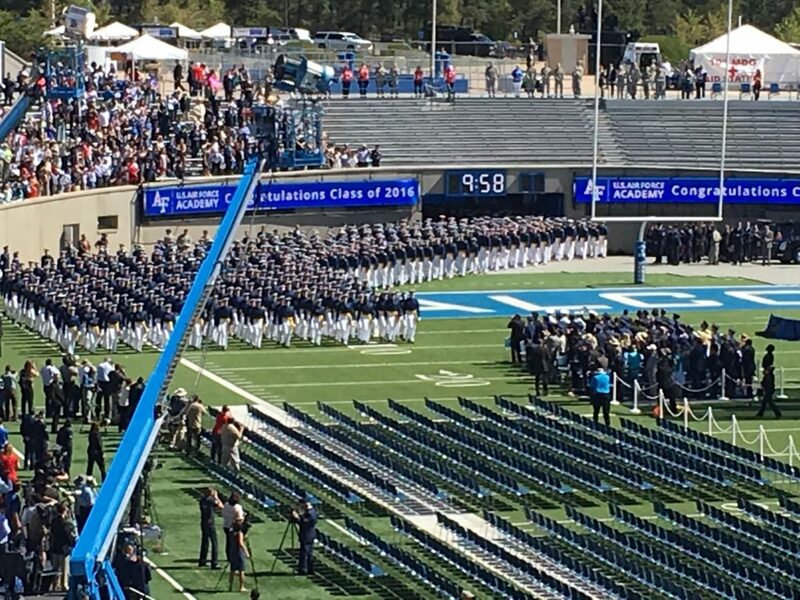 There are cadets saluting him on the right. The cadets march in at a very solemn half-step. The whole entry takes about 5 minutes. The whole class — 812 graduates this year — is ready to take their seats. 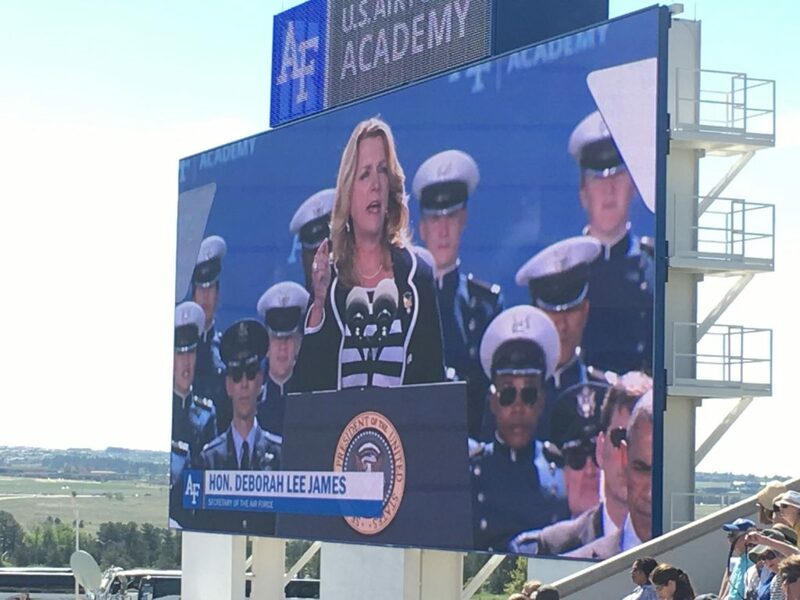 The Secretary of the Air Force, The Hon. Deborah Lee James, introduces the President. 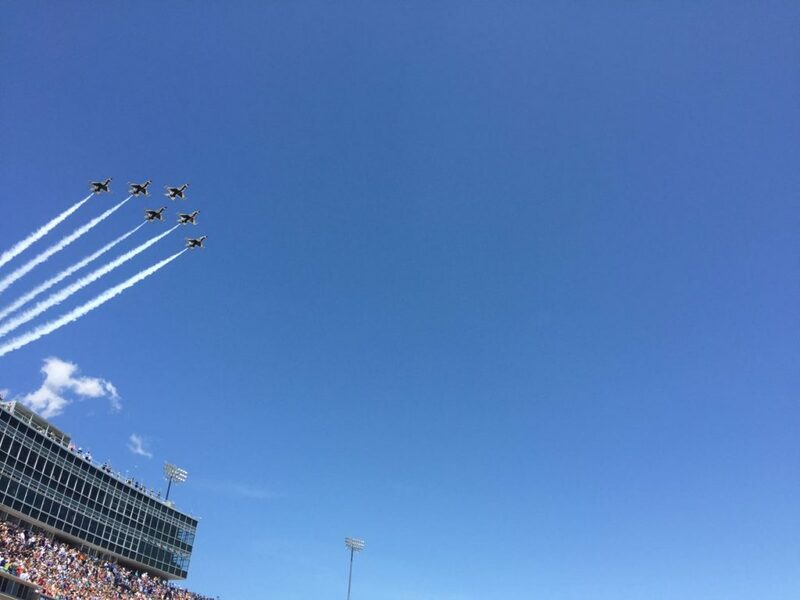 This was a much better way to see the speech, rather than squinting down on the field. 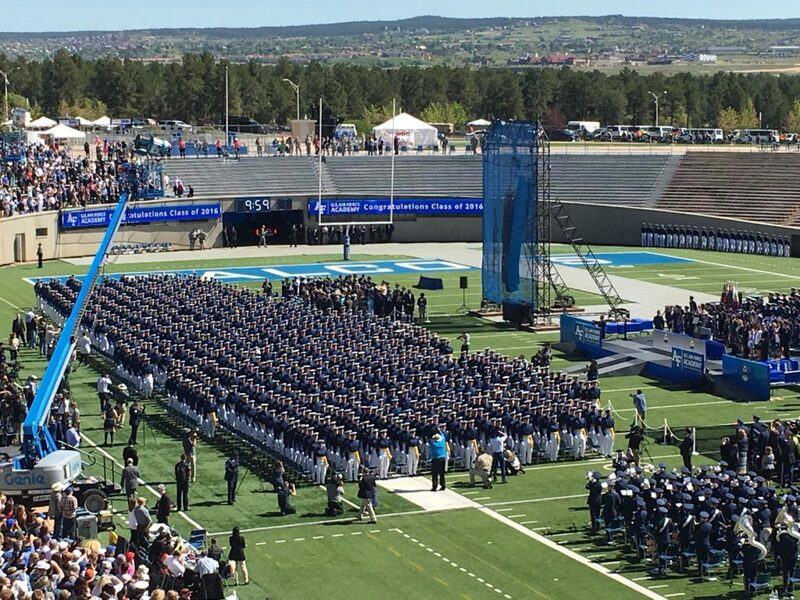 After the keynote address and some other speakers, such as the Dean of Faculty who offers special congratulations to the International Cadets, the students are ready to receive their diplomas. This class was about 20% smaller than in recent years, so the diploma presentations only took about 75 minutes as opposed to the 90+ minutes of previous years. I had my good camera + field seating in 2014. I’m pretty proud of this photo. As soon as the hats are tossed, elementary-school aged children are allowed to run onto the field and collect the hats. 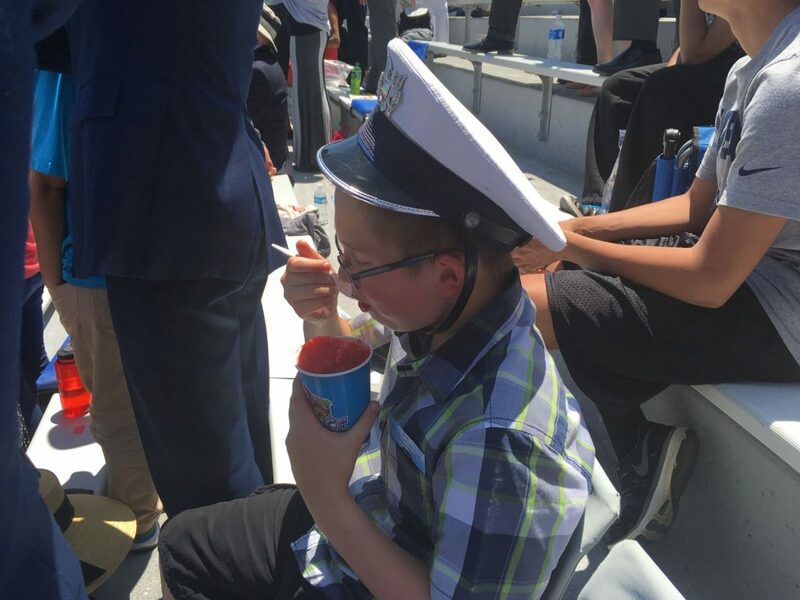 This tradition started less than 10 years ago, and now the graduates put money in the hats (Timmy had $20.16 in his hat) for the kids. This was from 2015: the children “storm” the field right after the hats are tossed. 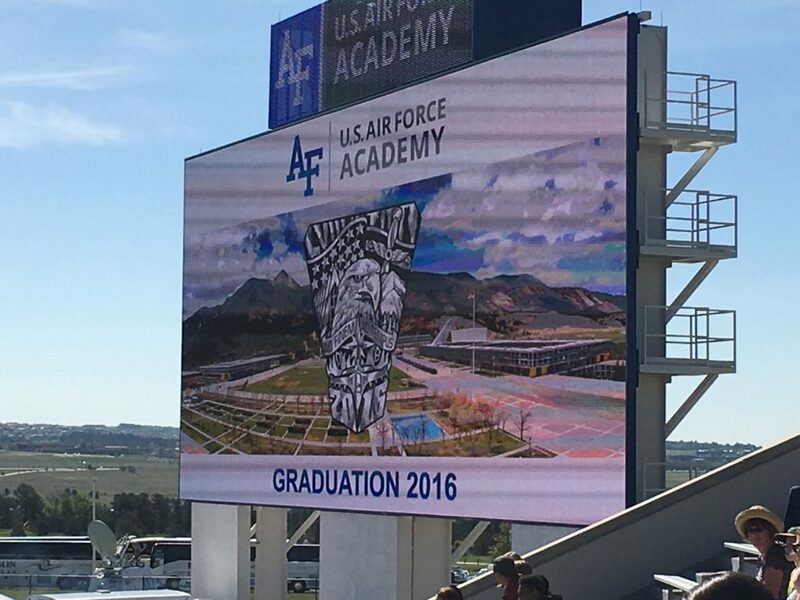 The United States Air Force Academy graduation has traditionally been held the Thursday after Memorial Day, but for 2017 it has been scheduled for the Wednesday before Memorial Day. The event is free to the public, but no one can attend without a ticket. 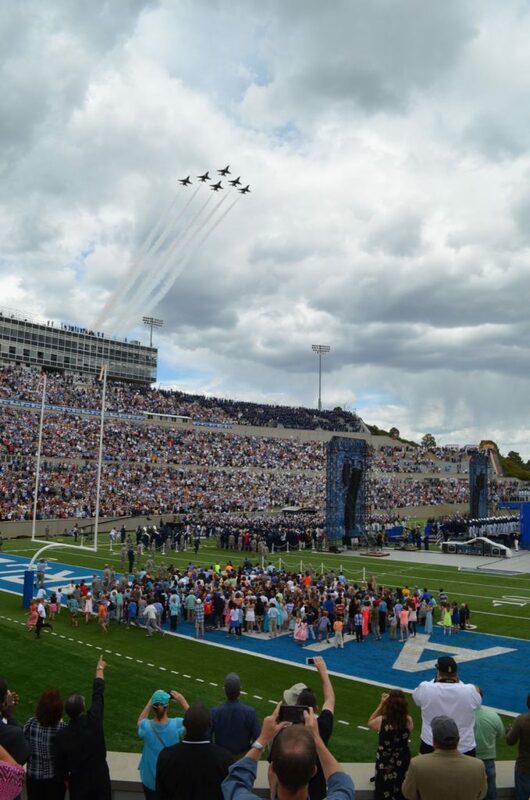 Tickets become available about one month in advance at the USAF Academy box office on the base. 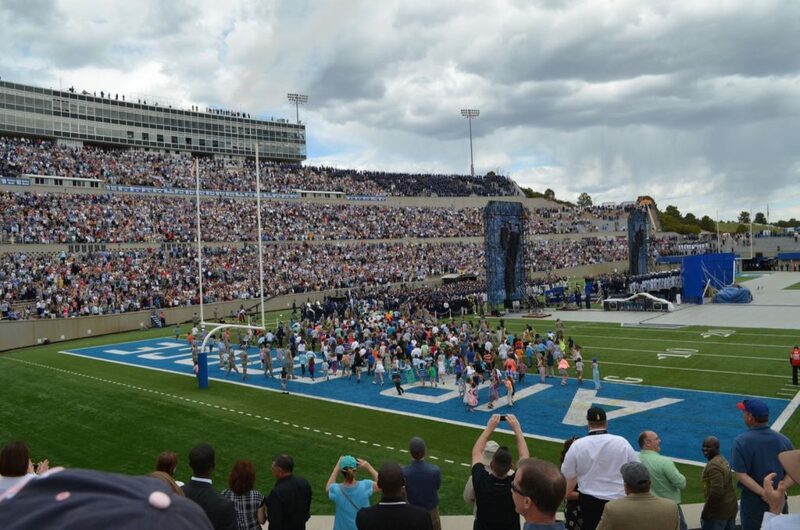 Be sure to wear plenty of sunscreen and bring unopened bottles of water into the stadium. 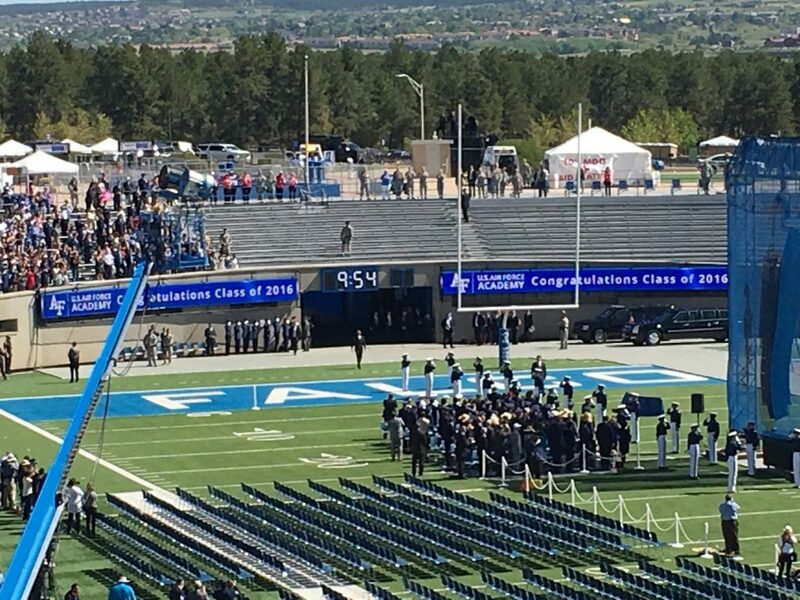 This can be a very high-security event, particularly in years where the guest speaker is the President or Vice President (even-years), so be prepared for long entry lines and bag searches. The altitude is high and visitors from lower-elevation locations tend to get dehydrated pretty quickly. Bring activities for children, since there will be periods of time where children might get bored, especially during the speeches and the somewhat-slow-feeling awarding of the diplomas. There are numerous food vendors in the stadium.